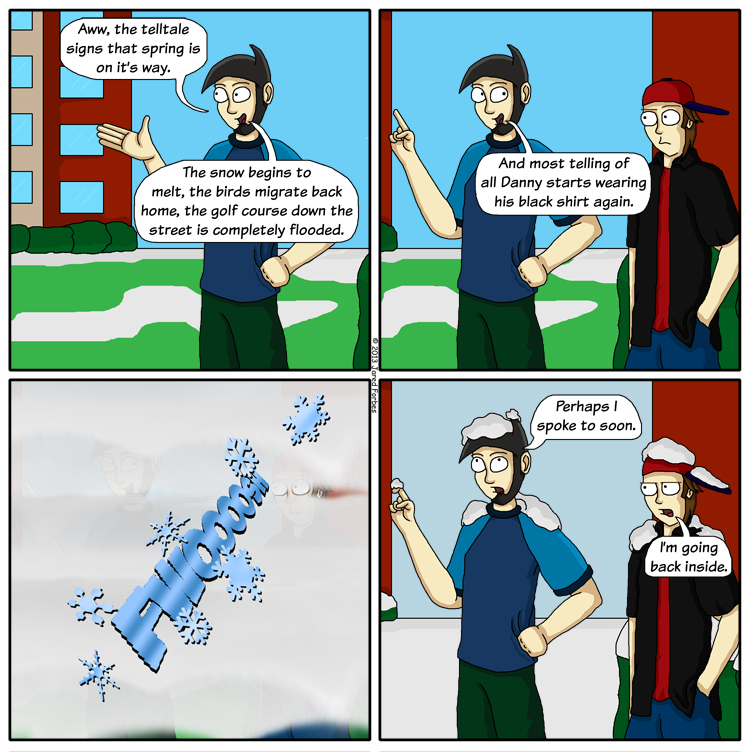 Kickass McAwesome: Spring is a Lie! As I write this blog post it is technically the second day of Spring, I say technically because it's unseasonably cold, and at one point it flurried. This winter has proven to be a very snowy season, especially compared to last year when besides a freak storm in October we got no snow, but I digress. I really don't care that Winter has decided to not let go it's icy hold on us. Winter is actually my favorite season, and I rather enjoy the snow.